The question of determining the success that is associated with the newest franchise of the PSL is a very tricky one. On one hand, the owners of the Multan Sultans franchise have inherited a squad selected by the PCB that ticks all the boxes when it comes to looking for ingredients that will win you a T20 play-off, semi-final and final. However, the main threat to their campaign will be posed by the longevity of the league structure and whether or not its key players would be able to provide availability throughout the tournament. The Sultans must tactically plan their campaign and produce the surprise punch that would see them break into the top 4. 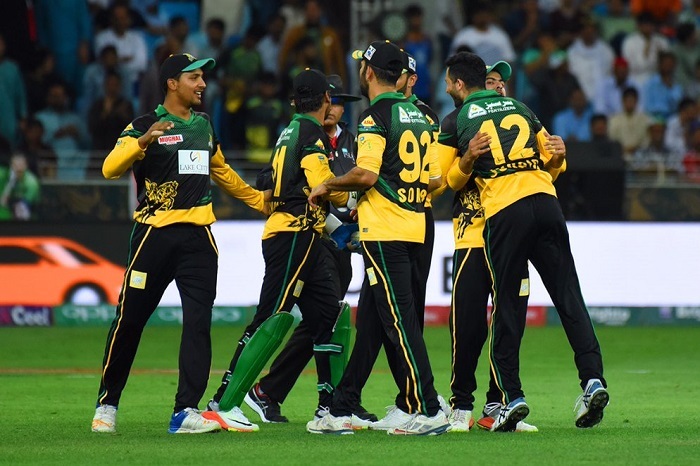 It is impossible to write off a franchise however the Sultans would know full well that an early string of victories does not necessarily result in top 4 qualification, whereas the other two unsuccessful franchises in Lahore and Karachi know full well that an early string of losses proves to be detrimental in qualification also. Although a team should aim high and prove its dominance by trying to win each game, the Sultans must adopt a realistic approach going by the past history of the league. They must target upper hands against sides that are rivalling for the 4th spot at the moment. Even though Lahore Qalandars have been poor historically, it is impossible to write them off at any time as the squad picked this year looks magnificent. However, there are still two sides that can still be topped if Multan are smart enough. Not much seems to have improved with the Karachi Kings and we can expect this Multan side to trump the Karachi franchise with its experience and energy. The other side that Multan can target to beat is the now vulnerable Islamabad United squad considering that they will be going through a drastic change with the loss of one of the best captains and cricketing brains in Pakistan cricket history no longer to guide them on the field. It is up to Johan Botha to work out a winning combination with Shoaib Malik which will enable him to demonstrate his actual T20 captaincy skills which were a hallmark of his brilliance as the legendary Sialkot Stallions skipper. All in all, we must respect the fact that the Multan Sultan franchise will take time to develop into a PSL powerhouse. However the management and especially the young owner, Mr Ali Khan Tareen is working tirelessly in providing not only a quality franchise but also a major cricketing presence in the Multan vicinity. At the end of the day, the PSL is a business venture for the owners and the sponsors, but the establishment of public interest in the game and the emergence of cricketing talent in Pakistan is the actual purpose. For this, we must commend Tareen’s work who himself is a keen cricketer and wants to raise a cricketing nation in Multan. Bowling attack - The Sultans boast experienced seamers that have not only represented Pakistan but have performed at a high level. Junaid Khan and Mohammad Abbas will be eyeing up spots in the World Cup squad for Pakistan and will be eager to perform. Whilst the ship may have already sailed for Mohammad Irfan, he has still produced memorable spells in T20s of late and will add an extra dimension to this pace attack. All-rounders and spin options - Shahid Afridi may no longer be the x-factor he once was, but the star brand of the player and his appetite for sixes and useful leg-spin in the middle overs will certainly win games for the Sultans. Multan’s captain Shoaib Malik is a journeyman cricketer that has played T20 cricket around the world and is still one of the fittest, best fielders in Pakistan. Without a doubt, Andre Russell is the biggest strength of this side. His experience as late order power hitter will be pivotal in setting up a big total or chasing big totals at high required run rates. Plus, his ability to bowl crucial overs in the middle or around the death end of the innings will provide his team with immense confidence. Qais Ahmed has been picked in the Gold category and the young Afghan leggie may get grip in some of the matches and turn the tie in favour of his side. Fitness - Fitness issues of key players could well be the case. Mohammad Abbas has recently returned from a shoulder injury which did not enable him to have the impact expected in the South Africa series. Junaid Khan’s injury issues are very well documented and Shahid Afridi is unlikely to play all of the matches either. Unavailability due to conflicts with international schedules will also play a negative role with one prime example of the Sultans having to replace their overseas keeper (Pooran) and opener (Denly) due to international cricket. Considering this, one could imagine that the Sultans may lack the firepower with the bat. Upon close analysis, we understand that the team should benefit from the wealth of experience provided by the Pakistani veterans such as Shahid Afridi and Shoaib Malik, both players who are capable of winning matches single-handedly in this format. Another major positive for the Sultans is the fact that they have two experienced fast bowlers in Junaid Khan and Mohammad Abbas and both of them will be looking to impress with an eye on a spot for the World Cup in England. The Sultans suffered a major blow to their campaign with the loss of their Platinum pick, Steven Smith becoming unavailable due to injury; however their young owner acted smartly by picking one of the most sought after players in world cricket's T20 format as a replacement, in the form of Andre Russell. Another plus point to this side is the inclusion of the revamped Shan Masood. Without a doubt, Masood has gained a considerable following after the world witnessed his ability to deal with tough conditions in South Africa and there is no denying Masood’s form has already punished opposition in the domestic and Pakistan A circuits. The thought of seeing Masood and James Vince open the batting for the Sultans could spell major problems for oppositions as both batsmen have demonstrated that they can establish a solid platform for their middle and lower-order to launch big from. The Sultans have picked a squad that has all the ingredients of competing hard and winning the league. With that being said, they are a new franchise and will be up against experienced campaigners, challengers in the form of Islamabad United, Quetta Gladiators and Peshawar Zalmi. These are three established franchises that have an understanding of how to qualify for the play-offs as demonstrated in the previous three editions of the PSL, and Multan's performances against these sides could be the difference between a par, or below-par finish and a successful season. Almost shocked all last year but just feel that M Abbas and Junaid arent that great in T20 so dont think they can support the batting that easily. Laurie Evans is a good player & played really well in bpl, scored 100 there. Last time kumar Sangakkara was great in the first half of the competition. He singlehandedly won them 4/5 games in the first half. This time around they will rely on Afridi, Russell to provide the goods. Will be interesting to see Shan Masood in the shorter format. Their bowling wasn't that strong the last time as well so I expect them to chase totals again instead of defending them. Too weak to compete. A cameo or 2 from Afridi and 2 match winning innings by Malik. The other side that Multan can target to beat is the now vulnerable Islamabad United squad considering that they will be going through a drastic change with the loss of one of the best captains and cricketing brains in Pakistan cricket history no longer to guide them on the field. With that being said, they are a new franchise and will be up against experienced campaigners, challengers in the form of Islamabad United, Quetta Gladiators and Peshawar Zalmi. These are three established franchises that have an understanding of how to qualify for the play-offs as demonstrated in the previous three editions of the PSL, and Multan's performances against these sides could be the difference between a par, or below-par finish and a successful season. So IU are both 'vulnerable' but also one of the teams to beat? I'm confused. Let's be honest, IU won PSL3 without Misbah, and given his age/form his loss is no big loss. On topic, MS have been hit by the BBL dragging on so as you have mentioned availability is a big issue for them. Unclear as to what XI they can actually put out for the initial games. Shahid Afridi representing Multan Sultans would mean more crowd in the stadiums hopefully. Might surprise and be more consistent than in the first edititon have made good signings tbf to them. Afridi still add value to these UAE pitches with his bowling like shown in his full outings in the BPL. Russel imo is better t20 cricketer than Smith so his inclusion can be fruitful also for MS. Only question mark remains if they can somehow find the balance and composure to construct and chase when it comes to batting because one aspect they have already mastered is their fielding and 16 overs of bowling from Junaid, Irfan and Abbas and Afridi. They got all rounders in Russel Hammas and Malik too so they should find 4 more adequate overs so they'll always be the team to get you out under 160 and then chase it down with their experience in Afridi and Malik at the helm. It will be interesting if Shan can adapt to the T20 format and have a good tournament. This should get him a chance in the Australia series. Same, quite interested in seeing how he does. Stroke-play has certainly improved. Excited to watch Ilyas bowl. He did well in the practice match against IU and I think he took 2-10 (not sure how many overs though). He did well but Multan not able to win games is a worry. Multan starting to lose their way? Need some good wins now or will go the same was as last season. Selections have been poor really. Nauman Ali and Shakeel Ansar were bizarre selections. Too much allrounders as well. And they become the first team to crash out of the 2019 Pakistan Super League. Multan defeat the purpose of expanding the PSL to a sixth team. Brought little value and lost 7 out of 9 matches. Awful team. Malik should not be captain. Mohammad Abbas is not a T20 Players so why would his inclusion be a positive for MS? Political discussion has been moved to http://www.pakpassion.net/ppforum/showthread.php?267603, feel free to pursue the Jahangir Tareen topic there. No more in this thread please. It's weird MS dropped out already. As their first wicket partnerships were quite entertaining. But playing duds like Hammad azam was self destruction. All times are GMT 5.5. The time now is 00:43.